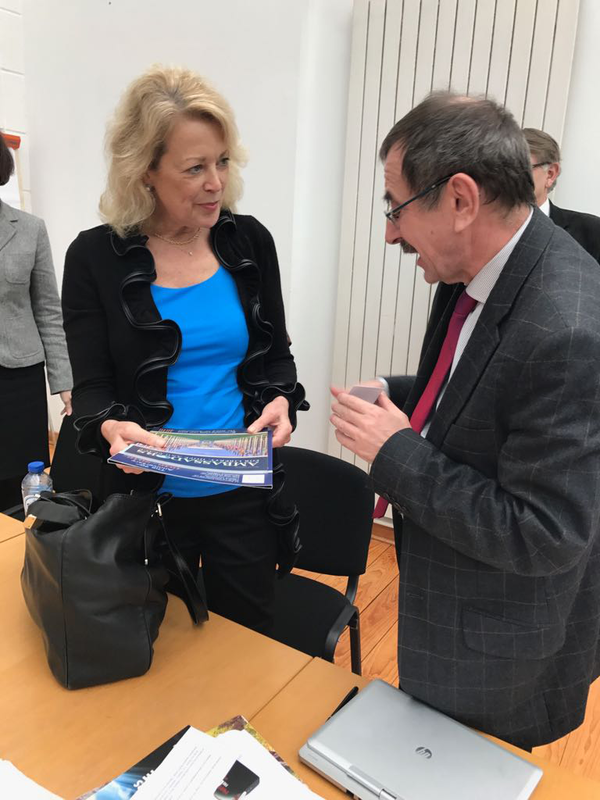 Dr. Liviu Olteanu, Secretary General of the AIDLR, and HE Ambassador Ms. Jackie Wolcott, Commissioner, US Commission on International Religious Freedom, from Washington D.C., talking in Brussels on the AIDLR international projects. In the picture Dr. Olteanu introducing to the Ambassador, the AIDLR journal "Ambassadors for Liberty, Hope and Peace". Brussels, Eprid´s meeting in February 2017.